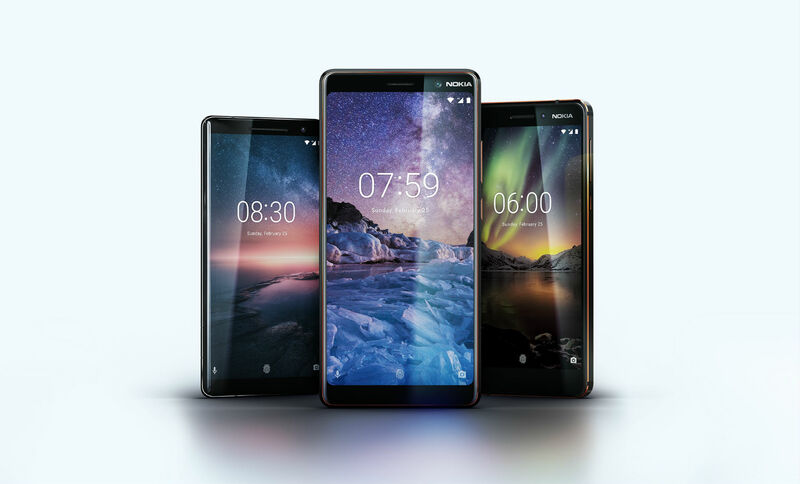 Nokia announced a number of new phones at MWC this morning, three in the Android One family, with an additional handset running Google’s Android Go software. 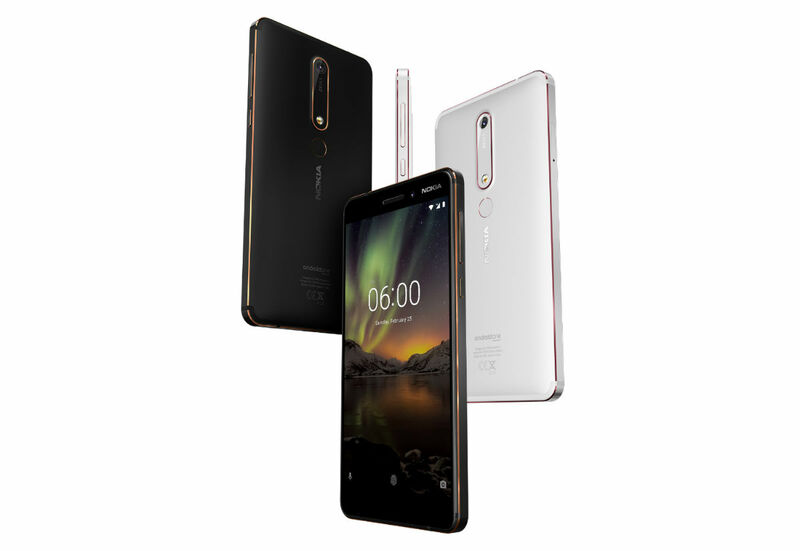 The smartphones under the Android One label are the Nokia 8 Sirocco, Nokia 7 Plus, and Nokia 6 (2018). These devices will all run a very barebones Android OS, meaning no amounts of bloatware should come preloaded on the device. With Android One, that also means they should receive timely updates, which is never a bad thing. As detailed, the Nokia 8 Sirocco is basically the flagship of this Android One trio, sporting a 5.5″ POLED QHD display, Snapdragon 835 processor, 6GB RAM, 128GB storage, dual rear-facing cameras with Carl Zeiss optics, 3260mAh battery, IP67 rating, and a clean install of Android 8.0. For those not looking to pay flagship money for a device running last year’s Snapdragon chipset, Nokia now also has an updated Nokia 6 (pictured above). This device features a 5.5″ FHD display, Snapdragon 630 processor, 3 or 4GB RAM depending on the storage option, 16-megapixel rear-facing camera, fingerprint reader, and it too runs Android 8.0. According to Nokia, the latest Nokia 6 will be priced at a global average of €279, making it a pretty solid contender in the mid-range market. The last phone in the Android One family is the Nokia 7 Plus, featuring a 6″ display (18:9, 1080 x 2160), Snapdragon 660 processor, 4GB RAM, 64GB storage, 12-megapixel + 13-megapixel rear-facing cameras, fingerprint reader, and again, Android 8.0 that should be updated timely. Nokia mentions the 7 Plus should be available with an average global price of €399 in early April. Nokia also announced an Android Go device, the Nokia 1. This device comes with an extremely affordable price of $85, plus a clean and easily updatable version of Oreo. For $85, you can’y expect the greatest specs, but it does come with a 4.5″ IPS display (854×480), MediaTek (MT6737M) quad-core processor, 1GB RAM, 8GB storage, dual SIM slots, 5-megapixel rear-facing camera, 2-megapixel front-facing camera, plus a removable 2150mAh battery. Here’s availability and pricing details straight from Nokia. Nokia 8 Sirocco will be available from early April for a global average retail price of €749. Nokia 7 Plus will be available from early April for a global average retail price of €399. New Nokia 6 will be available from May for a global average retail price of €279. Nokia 1 will be available from early April for a global average retail price of $85. Nokia fans, what do you think?